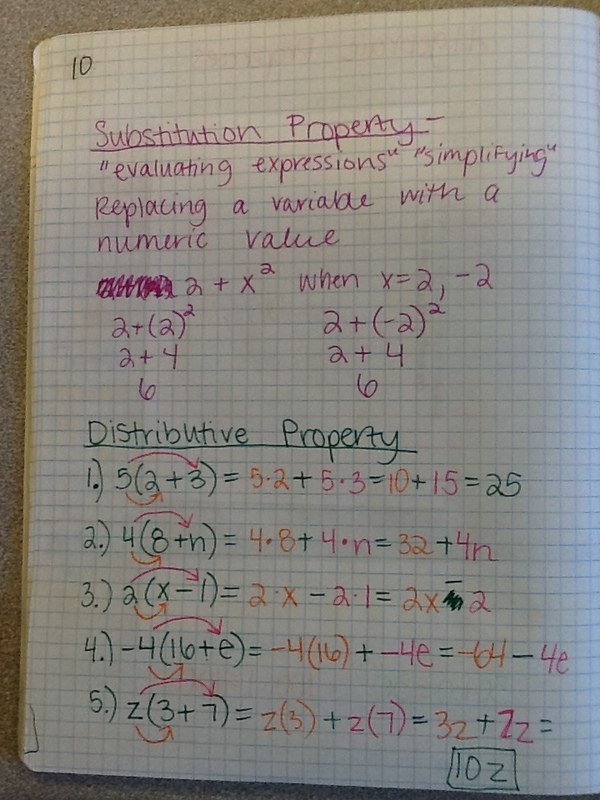 Unit 2 goes right from expressions and operations into univariate equations and inequalities. 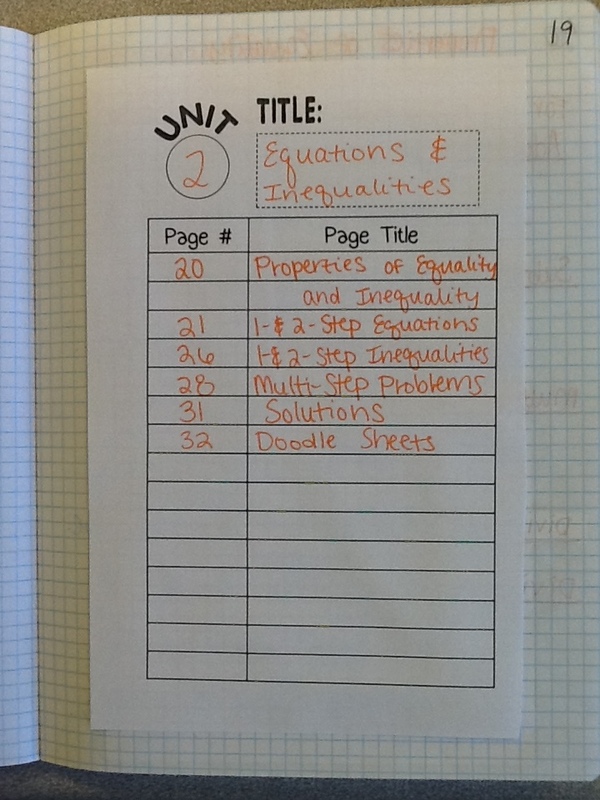 The first day of the unit students refreshed their memories on how to solve one-step equations and the properties of equality and inequality. 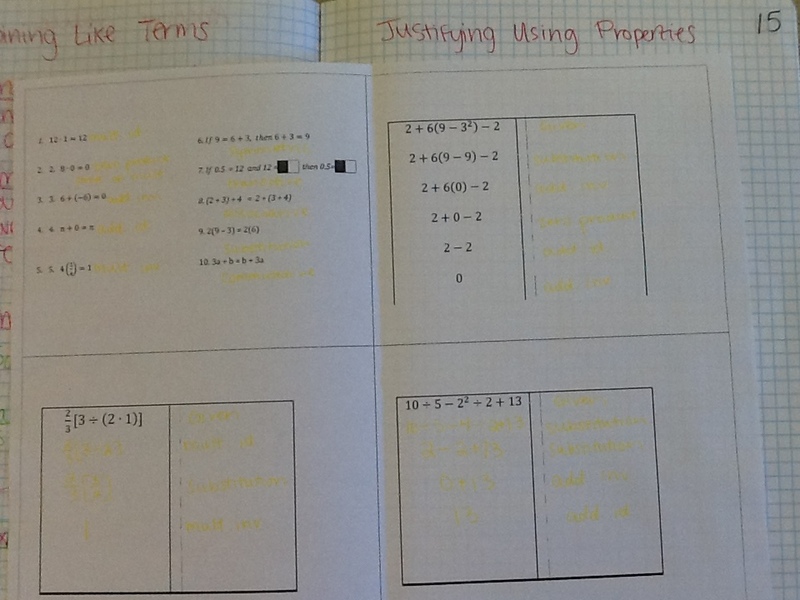 We tried something new this year as well – including literal equations in with the other equations and inequalities. Last year we spent a couple of days at the end of the unit trying to teach literal equations and many of the students struggled. I still have a lot of students struggling (still VERY open to teaching suggestions here) but it does seem to flow better if you slowly integrate those types of problems into the “regular” equations. 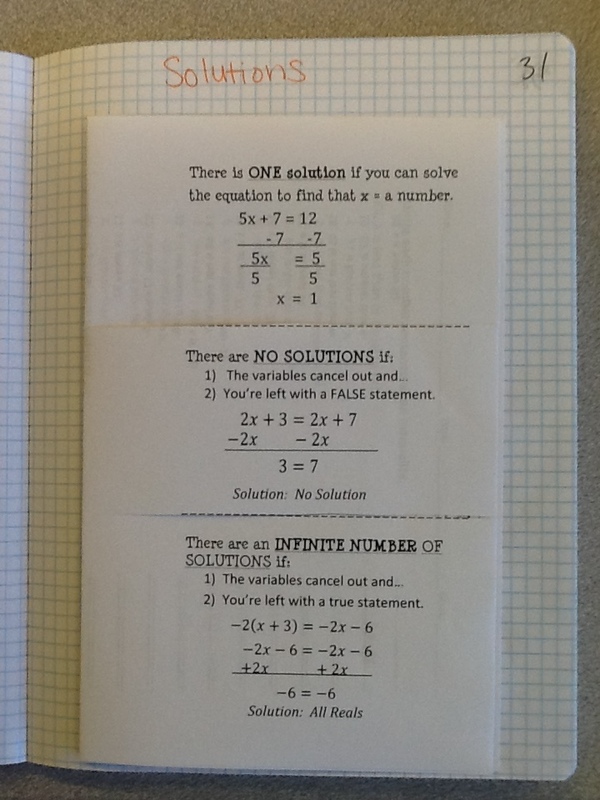 During the one- and two-step days, every student was expected to check their answer to every problem by using substitution. After the first few days, we highly encouraged it but did not require it of the students any longer. 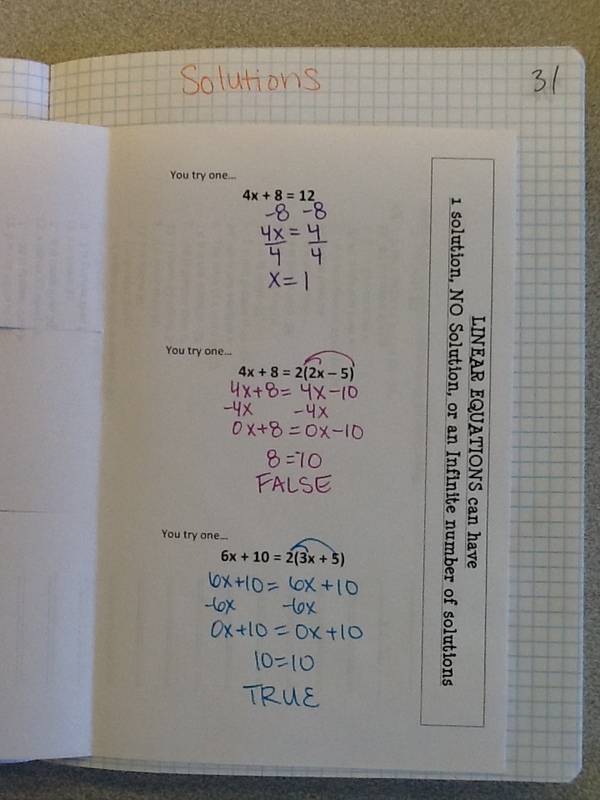 The next day of the unit we practiced solving two-step equations. 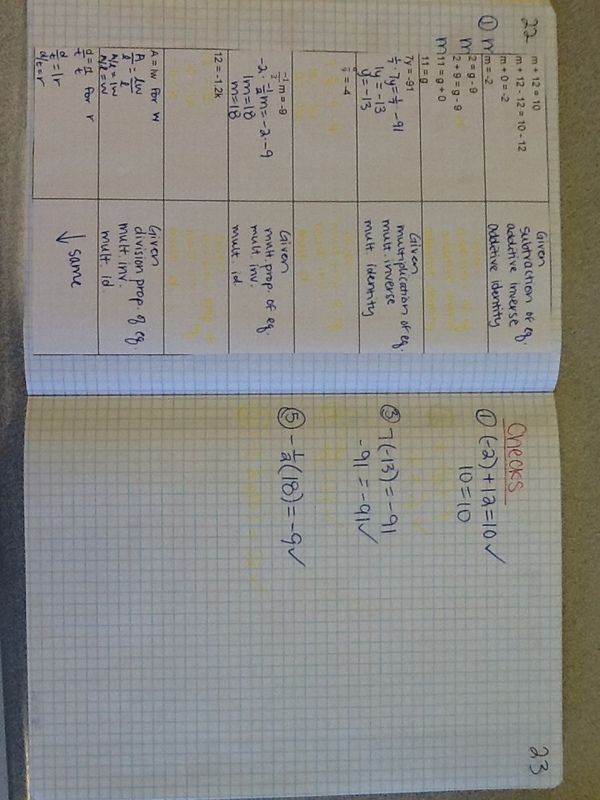 Again, justifying each step using their algebraic properties and checking each solution in the notebook. Then they worked on the maze and the first so many students to correctly finish and show all of their work received a piece of candy. 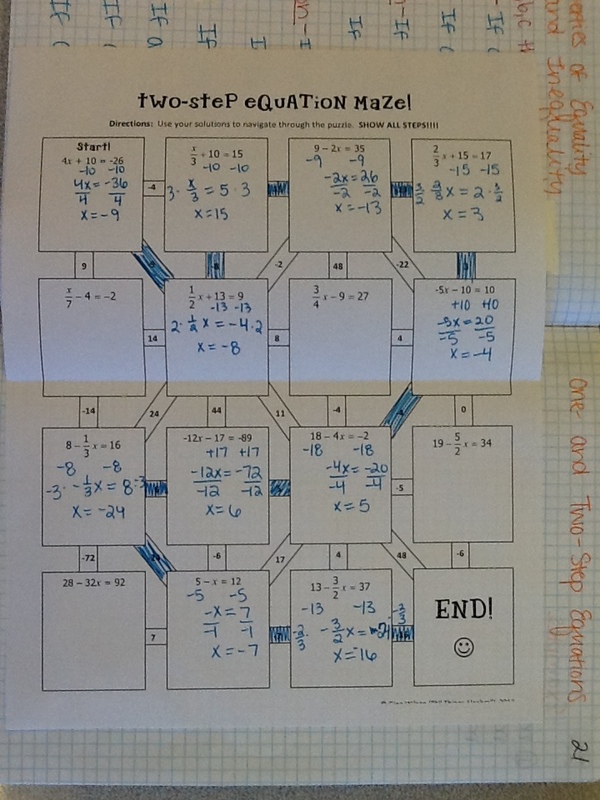 I enjoy activities like this maze (and those partner sheets) because it allows students to self-check their work without directly giving them the correct answer. The only problem with this one is that I suppose if a student had been smart and lazy enough they could have substituted in all of the options until one worked. 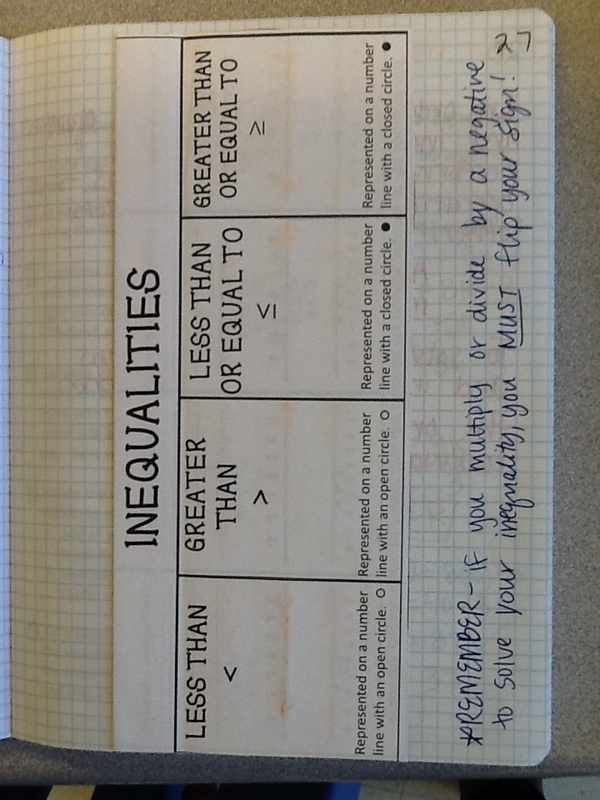 We spent two more days on solving one- and two-step problems, but these days were focused on inequalities. 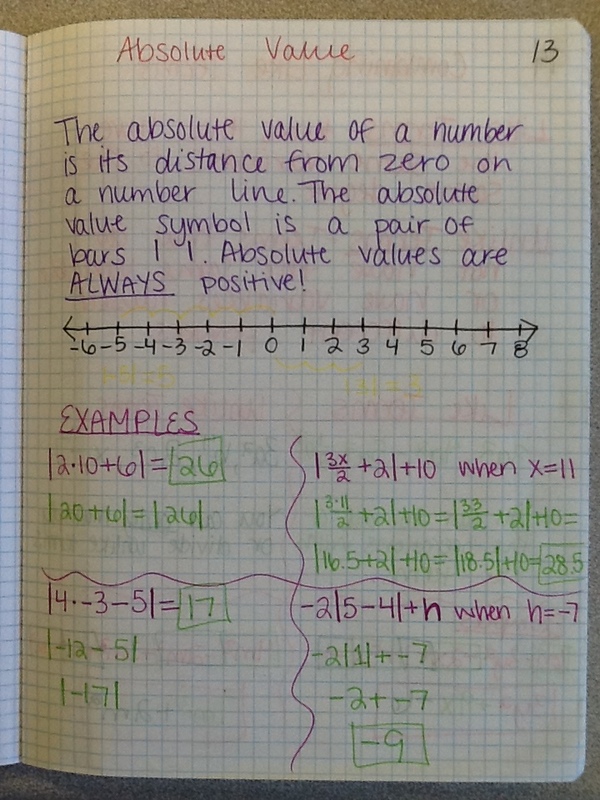 Friday we completed notes and practice problems in the interactive notebook and on their desks, and then Monday they did a scavenger hunt activity. Up until this point the students were really doing great with this unit. They complained a bunch about the properties, but I only had two or three students complain about having to show all of their work. 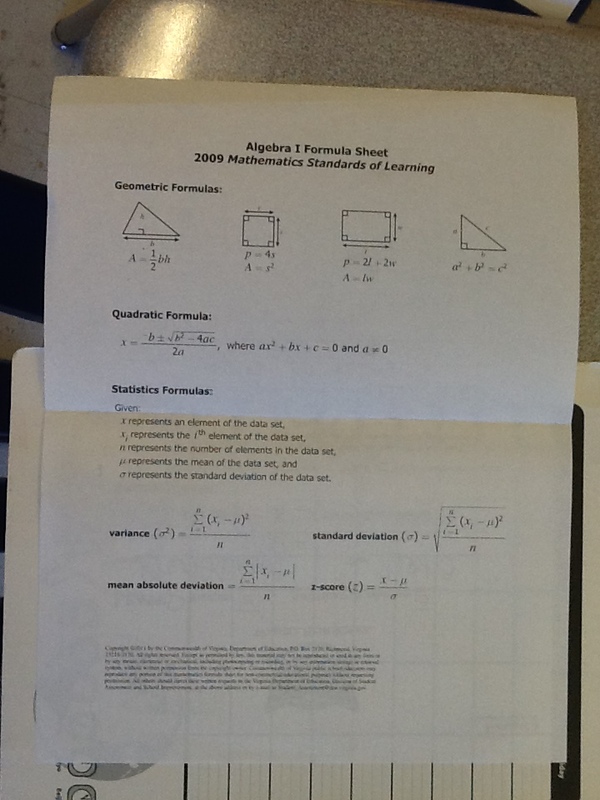 One- and two-step equations and inequalities are also taught in Foundations of Algebra, so for most of the students they had at least seen this topic before, if they didn’t remember how to do it. The next six days were focused on multi-step problems. 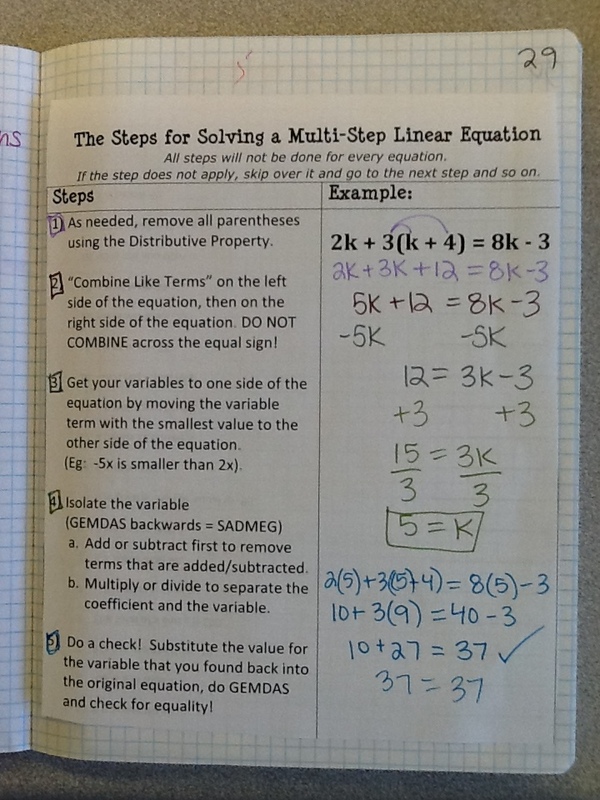 We did two pages on the steps to solving multi-step problems in the interactive notebook, and then one page on the different types of solutions possible. I also did two Mathematics Assessment Project lessons during these two days. One of those lessons was a complete disaster (Building and Solving Linear Equations) while the other one went incredibly smoothly (Solving Linear Equations). My students at this point in the unit did not want to be creating their own equations step-by-step, they simply wanted to be solving them. Trying to get some of them to create their own in that first classroom challenge was one of the worst things we’ve done so far this year! The second one, on the other hand, gave students a chance to practice using their translating skills and ability to solve multi-step equations at the same time. Many students struggled at first but almost every group successfully completed the task by the end of the block. My collaborative teacher and I needed to do more small-group instruction during this unit and of course that’s only obvious now that I can see the effects of it. 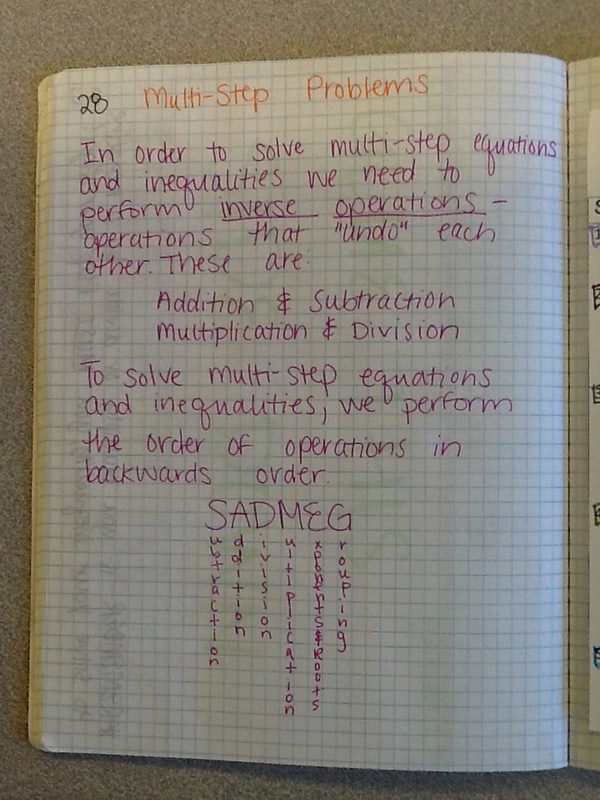 We still have some students struggling to solve two-step equations, much less multi-step equations. Also there should have been more problems with fractions, variables on the same side, and multi-step literal equations. Those are things that I will change for next year, and for right now just slip them in where I can. Today is a teacher workday (the first election day since I turned 18 that I’m not voting on… I’m a little disappointed in myself). 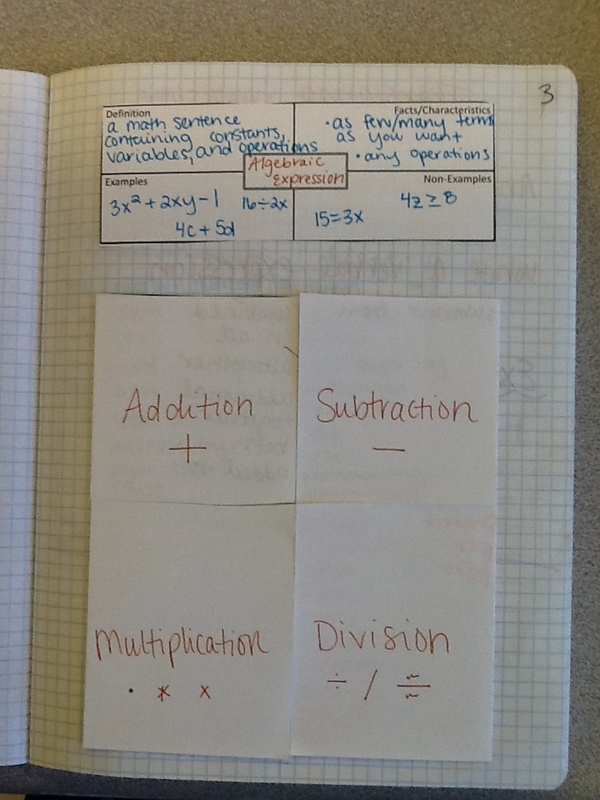 I’ve gotten the next unit planned out in my interactive notebook, but before I teach and post that I’m going to start posting all of our Algebra I units. I’ve taken most of these ideas from other websites (mostly Math=Love) and will try to keep track and give credit where credit is due in the future. 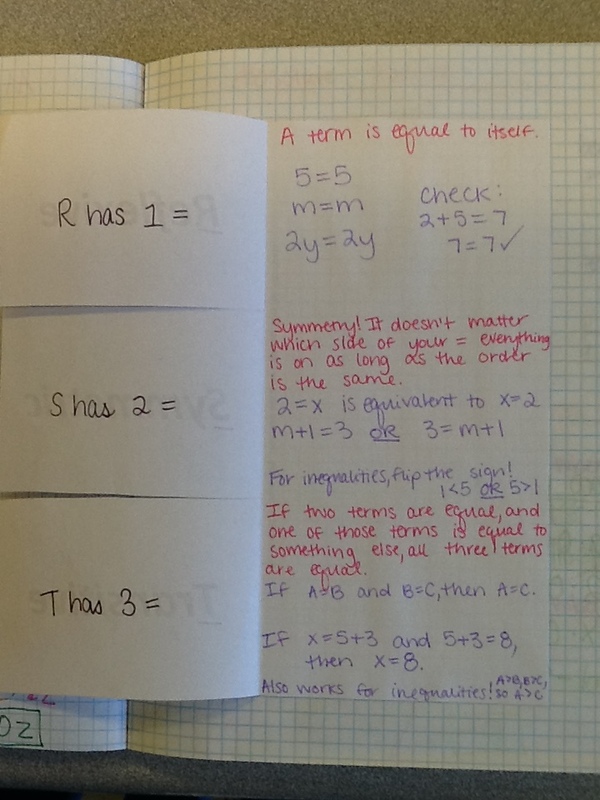 We glued the formula sheet onto the inside cover of the interactive notebooks as well as a calculator tips sheet onto the inside of the back cover. 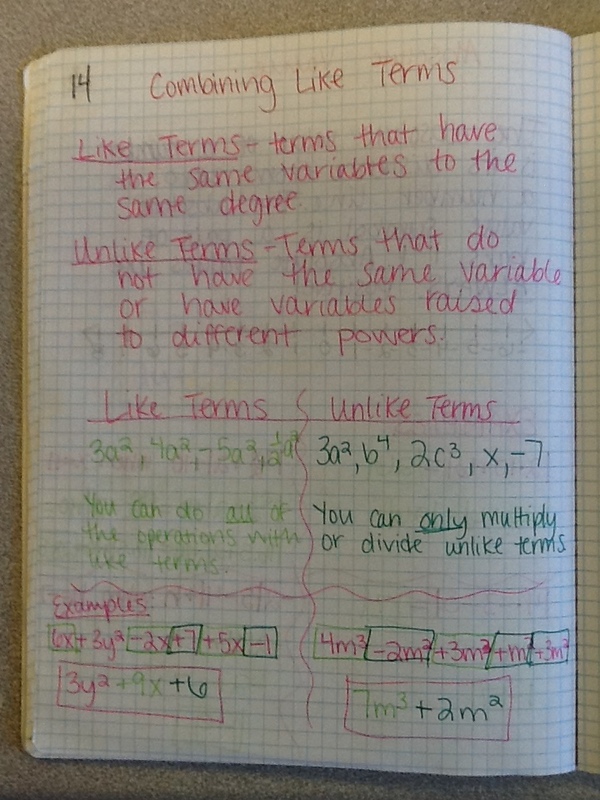 Unit 1 in our curriculum is basically a review of some of the more important things from the Foundations of Algebra (middle school math) courses they have taken over the past three years. 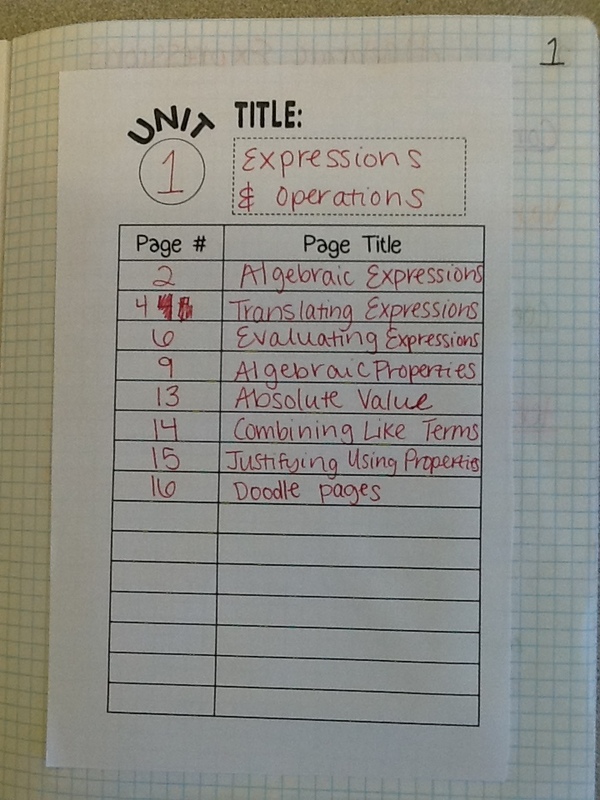 We title ours Expressions and Operations, and it discusses topics from VDOE SOLs A.1, 4, and 5. 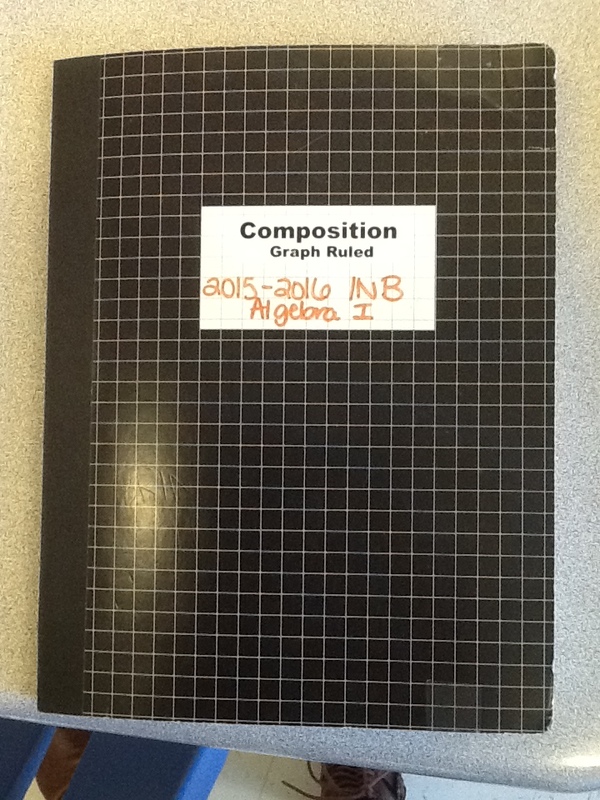 Our first day of instruction is the second day of school, and we spent the majority of the time discussing how to set up and use the interactive notebooks. 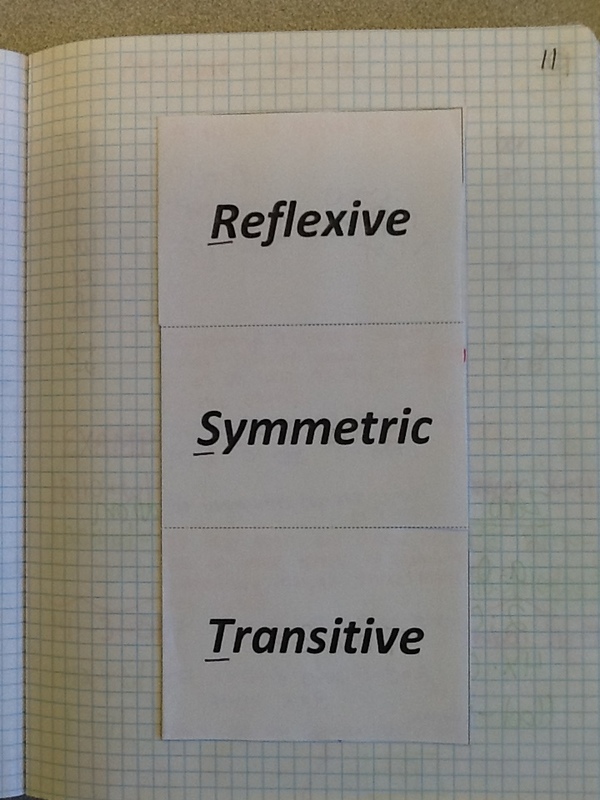 Next year when I do this, however, I’m definitely going to use Sarah Hagan’s new table of contents idea combined with the concept-based grading scale that I already have in place to create the unit dividers. After that we also talked about a few different vocabulary terms. I asked students to define them before we wrote down any definitions and examples to see what they already knew. 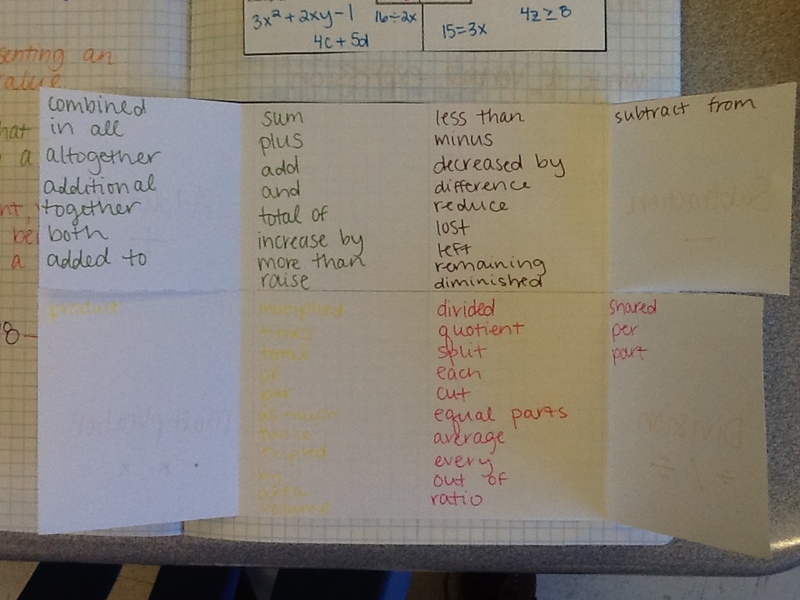 We finished the first day by creating a foldable of some key terms for addition, subtraction, multiplication, and division in preparation for the next day’s lesson. During our next lesson, we practiced translating expressions. 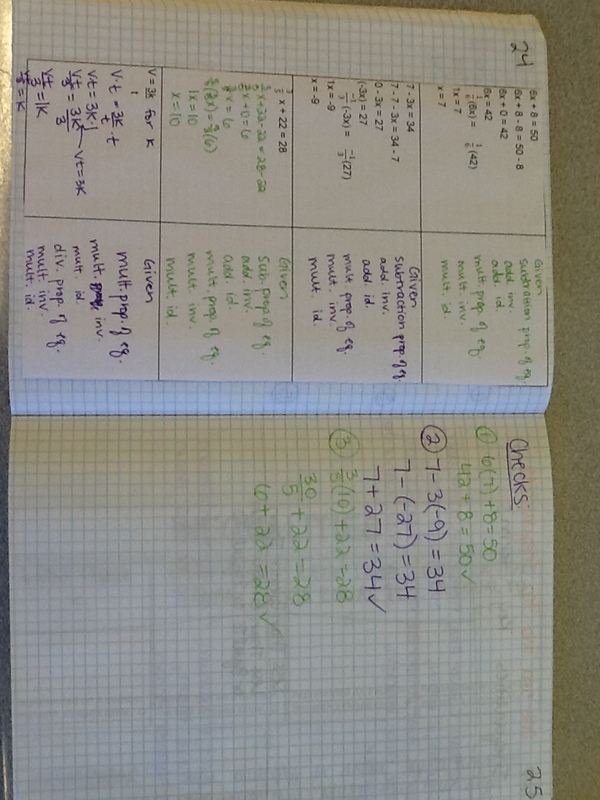 We did a few examples together as a class using this Gizmos activity, and then students worked either independently or in their small groups (tables of 3) on the practice problems in their notebook. 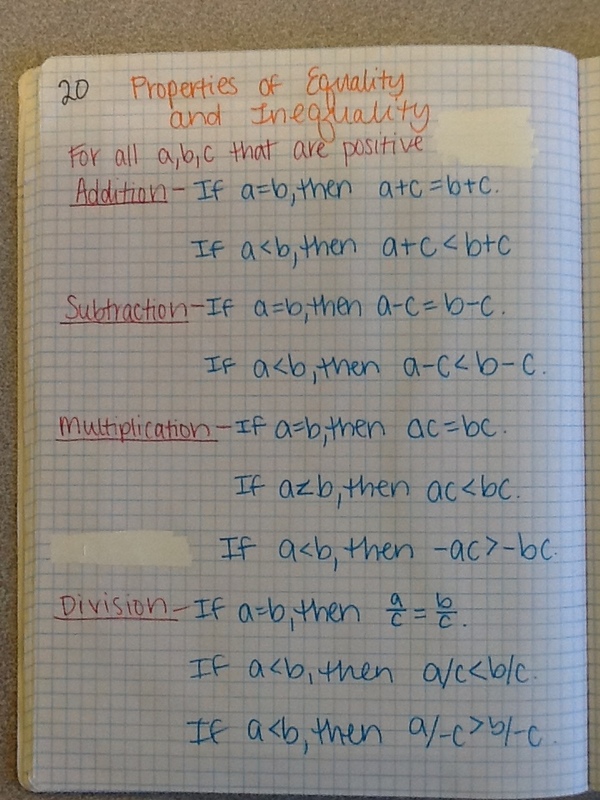 When we went over the practice problems as a class, we wrote down all possibilities that students were willing to share and discussed which ones worked and which didn’t. Some students seemed confused when there was more than one answer but a lot of students liked arguing for or against certain translations. 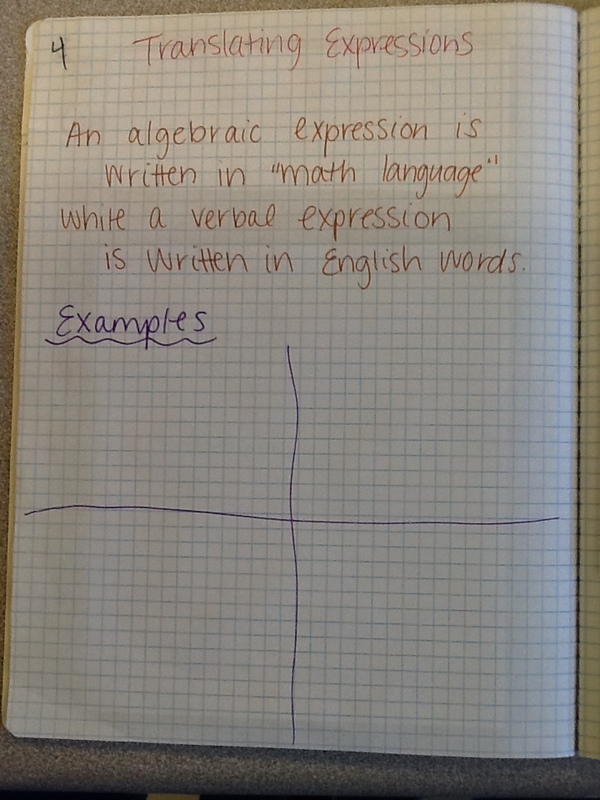 The next day we began talking about evaluating expressions. I asked students “Who remembers what the order of operations is?” and about half of the hands went up. I responded with “Good, because for the next 5-10 minutes you don’t need it.” and was met with some puzzled looks. I wrote on the board an expression that involved all parts of the order of operations and told the students to pretend that there was no order of operations. If it didn’t exist, what answers could we get for this problem? Then they worked to come up with as many answers as they could. Some students only came up with one or two, others had six or seven. 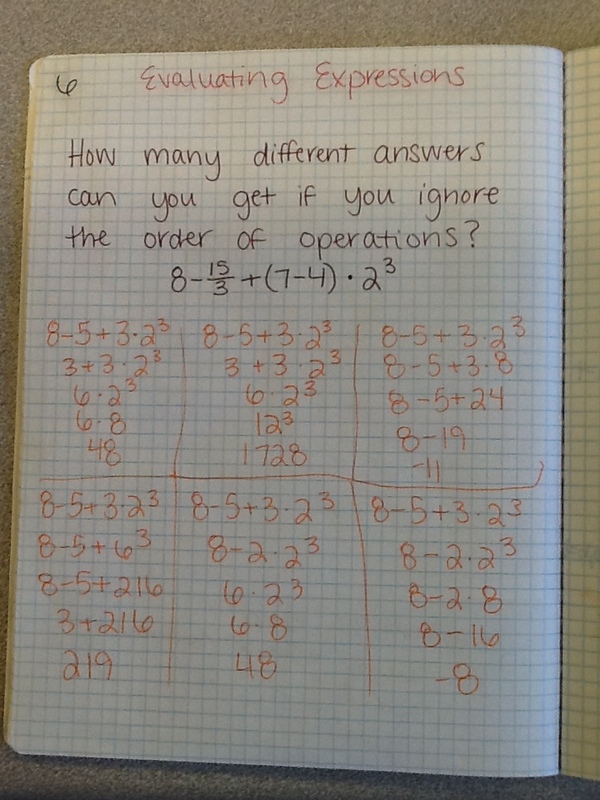 As a class we looked at about five options, and then discussed why it was important to use the order of operations. Those who had originally said they forgot what it was definitely seemed to remember and understand by the end of the activity. So then I introduced the “new” order of operations. Many of them had been taught PEMDAS – but we like to call it GEMDAS. The “G” stands for grouping, and it allows us to include more than just parentheses into that first step. 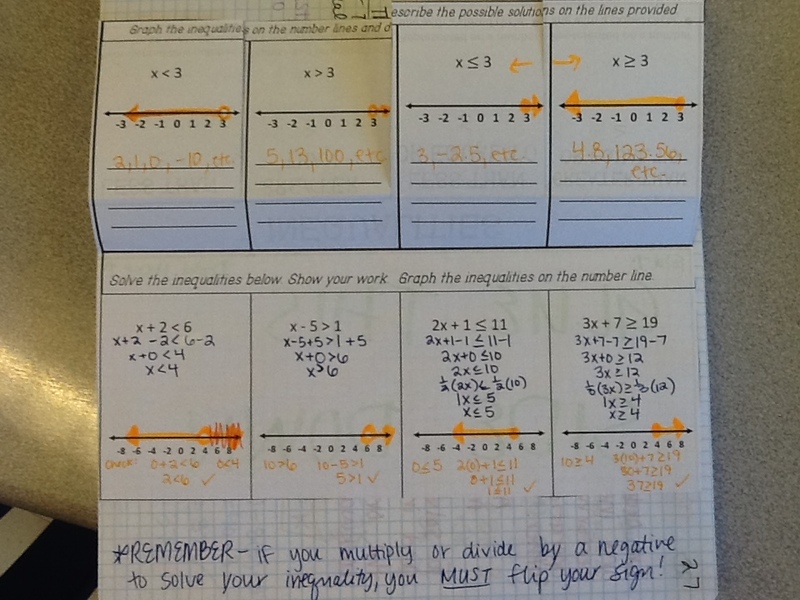 We did an example as a class, and then students worked on a practice worksheet for the remainder of the block. We finished talking specifically about evaluating the next day, where we introduced substitution. 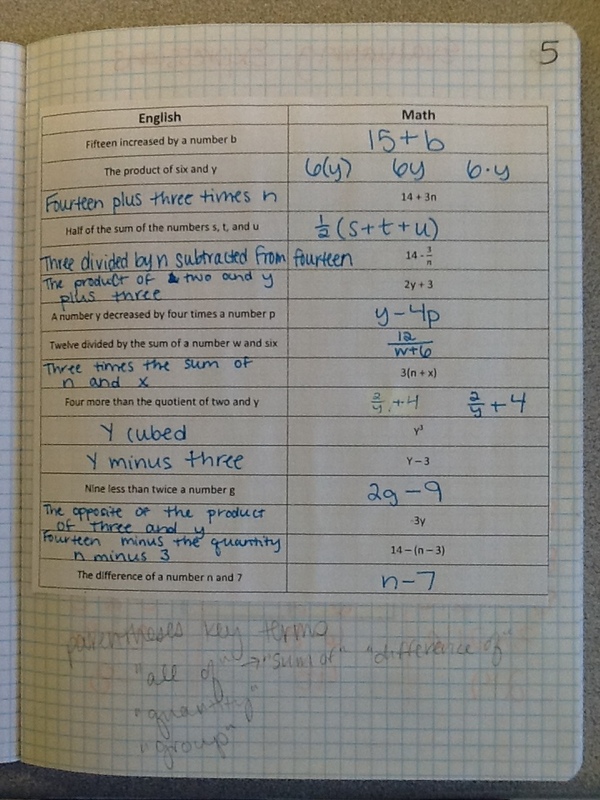 We completed a couple of examples in the notebook before students worked on a partner activity. It was one of those partner activities where they each have different problems but if they do them correctly they get the same answers (I love these types of worksheets). 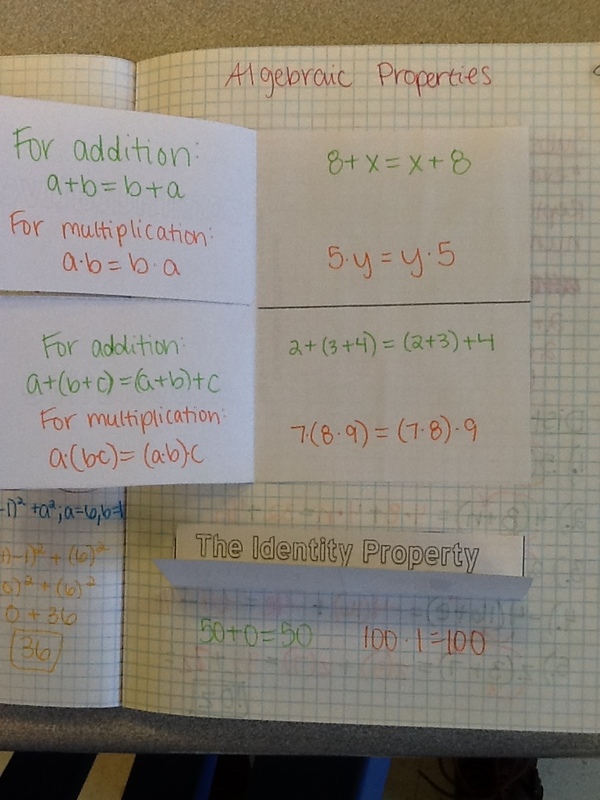 After the students completed the partner activity, we started discussing properties. If anyone has a good way to teach properties, PLEASE let me know. My students groaned about them last year and never really understood how or why to use them. They (so far) have been doing the same thing this year. They are a boring concept that I cannot figure out how to get across to my students! 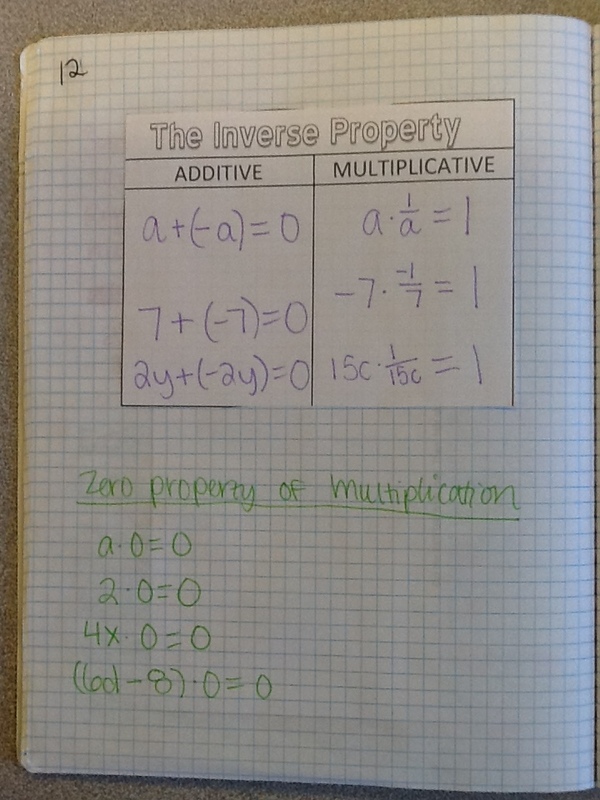 We spent the next day working on some more evaluating problems, doing pull-out small group instruction for students who were still struggling with the order of operations, and took notes on a couple more properties. 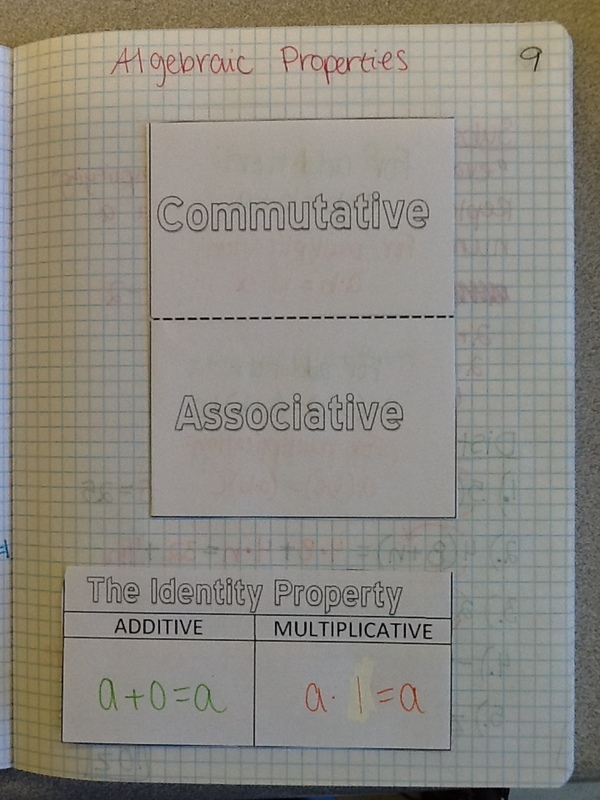 The last day of explicitly teaching properties was also spent reviewing absolute value. 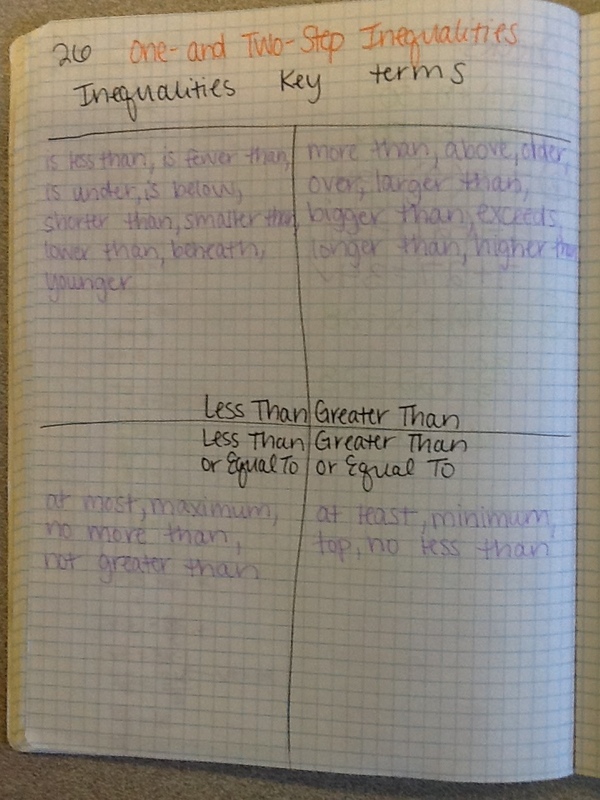 This is, again, something that they had seen in middle school so we did a couple of examples together as a class and then did another worksheet. Next year at this point I’d like to play Zombie Graveyard (which I will post about as soon as I DO play it this year!) but we were still working on classroom management and student self-discipline and didn’t get around to it. The last two days of our unit were spent practicing identifying and combining like terms and justifying simplifying expressions using properties. I’ve tried highlighting and circling and boxing and underlining for combining like terms but I still have some students that do not get it. They don’t comprehend the idea that “a” is not the same thing as “b”, because to them they are both unknowns so they should be the same. I’m hoping that this will change when we get to linear functions soon, but if anyone has a really good way of teaching combining like terms I will use it in a heartbeat! At this point I was not doing concept-based grading with my Algebra 1 classes, so we took a quiz that included translating and evaluating expressions, and then we had a test that also included properties at the end of the unit.